Here you have the opportunity to review EBA-Consulting’s publications on issues of relevance in the field of consulting and training in accordance with our field of expertise. The result of the research and experience of our professionals along with the support of our Division of Publications is focused in these volumes that are certainly valuable documents you must have in your personal electronic library. Strategic Productivity: The difference between produce and be productive. 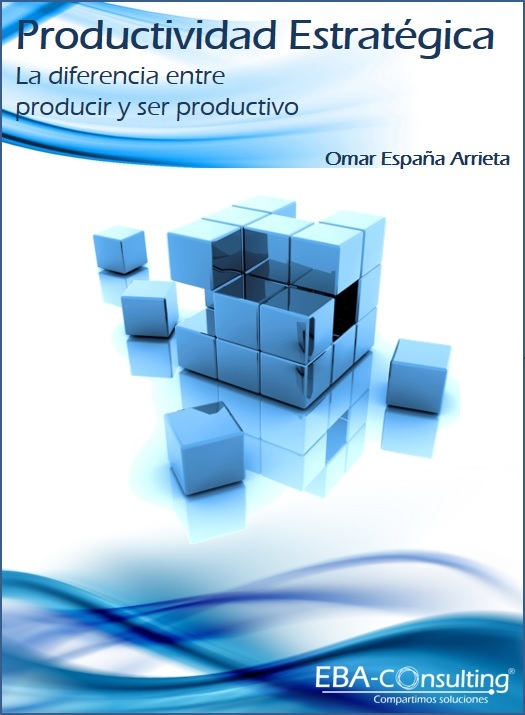 Abstract: The author develops a logical, practical and comprehensive vision of productivity to improve business profitability through the development of human capital. Starting from the premise that “companies are what they do and what is said of them”, the author relates the importance of congruence, practice that must link company policies and actions of everyday life, which has a positive effect for all stakeholders and especially for organization’s employees. He also develops ideas on how to discover and manage talented employees, the dual management between Human Resources departments and managers, reputation management, etc. Besides, he develops elements such as objective leadership or self-management, which are issues in the current agenda of large multinationals and international organizations with complex structures and large amounts of human capital. Finally valuable information on time management considering the new technologies is included with “right now” as a premise and the author closes with a chapter about ethics through his own experiences and from the ones of several colleagues, a reflection that certainly will make you see things from another point of view. Note: This book is only available in Spanish.